It's night and Sailor Mercury is fighting a Youma by herself. Luckily for her it's a water based one who keeps attacking her with water attacks. Sailor Mercury laughs at it and tells it it chose the wrong Sailor Soldier to use water attacks on and fires a powerful new Mercury Aqua Cyclone at it! Unfortunately it absorbs the attack and fires it back at Sailor Mercury. Sailor Moon arrives on the scene and fights the Youma off with pure physical attacks. The Youma melts into the water in the nearby fountain and disappears. Later at Crown, Ami tells Makoto, Rei and Luna that Usagi is doing a good job at suppressing the princess. Makoto says that they should be doing some work to as it's their mission but Rei cuts her off and says that's not the only reason they're protecting her and announces she's had enough of the talk about their past lives. That night while asleep, Princess Serenity takes control of Usagi's body and becomes Princess Sailor Moon once more and teleports atop a skyscraper to play her harp. Luna manages to track her down and snap her out of it. A pyjama dressed Usagi is shocked by her appearance on top of a building in the middle of the night. In the Dark Kingdom, Zoicite confronts Jadeite over turning on their master, Mamoru. 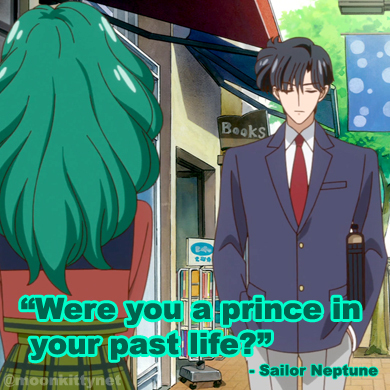 Jadeite tells him that it has been his choice to follow Queen Beryl. The next day at Usagi's house, Ikuko asks Usagi how her boyfriend is doing and suggest she invite him over for dinner sometime. 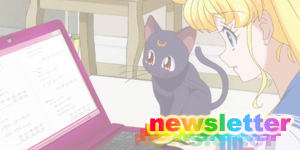 Usagi tells her that may be okay and becomes internally upset over what has happened to Mamoru. After dinner in her room, Usagi begins to cry and hugs her giant toy bunny before throwing it across the room in frustration. 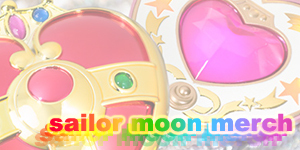 Angry and upset, Usagi once more turns into Princess Sailor Moon. Everyone in the Dark Kingdom senses it. 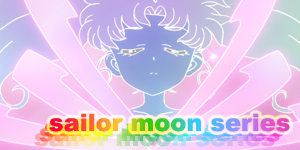 Mio offers Mamoru a chance to go and see Usagi and tells him she can supress the effects of the stone for short while. Queen Beryl tells him that this will be the last time he can see the princess and lets him go. Queen Beryl is nervous about Metallia's rapid growth as it looks as if she/it will destroy the planet before she gets a chance to rule it! In Tokyo, Mamoru approaches Princess Sailor Moon who is playing her harp once more. He calls out to Usagi and snaps her out of it forcing her to return to Usagi. 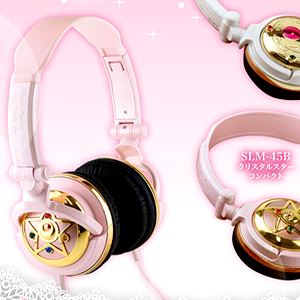 Usagi is happy to see Mamoru but shocked when she sees Mio walking up behind him. Usagi finally confronts Mio about being with the enemy but Mamoru tells her to let that go for now and tells Mio to stay where she is while he and Usagi get on his bike and go for a ride. 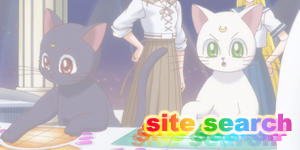 Usagi is wondering what this is about though is just happy to see Mamoru again. Elsewhere, due to Princess Sailor Moon's appearance, more people all over Tokyo have started collapsing. 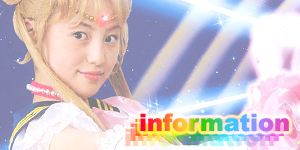 Youma also begin to appear so Minako, Rei, Makoto, Ami and Luna all transform and begin to battle them. Suddenly the super strong Youma appears and begins to beat them. They all fight particularly well with all of them performing physical and power attacks and Sailor Jupiter performing a new lightning ground attack. Suddenly Sailor Venus begins to feel faint and collapses into Sailor Mars' arms. Sailor Mars tells her that she shouldn't be fighting but Sailor Venus gets up and orders everyone to do a simultaneous attack. They all power up their auras and attack the Youma with a strong group energy attack which destroys it. Mamoru meanwhile has taken Usagi to the beach they visited in Act 13. Before they can really talk though, a Youma attacks them. They both transform and Sailor Moon, emotional over Queen Beryl interfering once more picks up Mamoru's sword and rams it through the Youma's chest. Still furious, her chest begins to glow, signalling the use of the Imperium Silver Crystal. Mamoru begs her to calm down and she does. She then uses Moon Twilight Flash and destroys the Youma. Mamoru then tells her that it wasn't Princess Serenity that damaged the Earth just then or earlier in the day, it was Usagi. He tells her that no matter what happens she must always stay happy and cheerful, because when she's not the planet is affected. They both then play in the water and enjoy each other's company before enjoying their very first kiss. 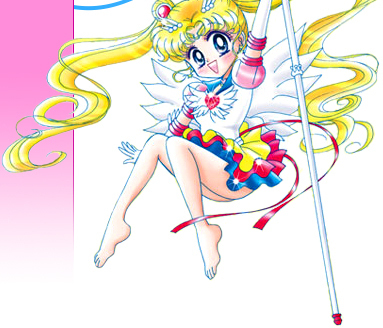 As they sit side by side in the sand, Usagi looks at Mamoru who is smiling at her. Suddenly he fades away, back to the Dark Kingdom. Usagi feels like crying but forces herself to smile. Elsewhere, Minako, Rei, Makoto, Ami and Luna have all transformed back to their normal forms and are looking at each other. 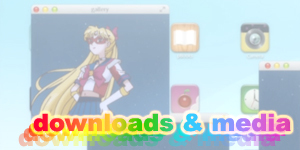 Rei has come to a realisation: Minako hasn't truly awakened as a Sailor Soldier yet! Literally and episode after gaining Mercury Aqua Storm, Sailor Mercury uses another more powerful attack in this episode called, Mercury Aqua Cyclone! Sailor Jupiter also got a new attack in this episode, a cool lightning ground attack! Though it doesn't have a name, it's obviously something very new. 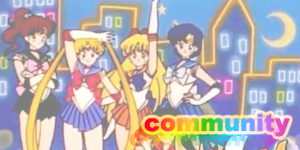 While Sailor Mercury, Mars and Jupiter have performed the energy attack before in Act 16, this is the first time both Sailor Luna and Sailor Venus have used it.